How do I convert a word doc to plain text using notepad++? When I was using notepad, I just copied my word document and pasted it into notepad and then copied it from notepad and it worked. However when I did this with notepad++, all the formatting in word was carried across, is there something else I need to do? the indentation is messed up? If so, I assume that notepad++ has set tab should be replaced by spaces. Appreciate your reply. No I didn’t edit the content, all I want to do is convert the content to plain text. I am using a “text to speech” software which states that my article has to be in “plain text”. Initially, I tried using “notepad” to convert my article from a word doc to plain text. However, it still had hidden code (although I can’t see it), so I was told I should use “notepad++” to convert my word doc to plain text. I clicked on File, New. The article in notepad++ still had the word doc formatting (i.e. it didn’t convert it to plain text). If there something else I need to do with the notepad++ settings or preferences etc. so my article is converted to plain text? what makes you think that it isn’t converted? is vs. what is expected. Maybe there is just a simple misunderstanding. assumes the text must be Plain ASCII characters. Try doing this: in Notepad++ click “encoding” menu item, then click “convert to ansi”. Where does the software takes text from? Clipboard or a txt file? I’ve tried ctrl+ c and ctrl+v and also using the right click function on the mouse. The plain text that I copied from notepad++ to my “text to speech” software still had “bold, italic” etc. hence I concluded that plain text was not copied across. However, when I have tried Mikhail’s suggestion, the problem was fixed. Anyway, I do appreciate your help. 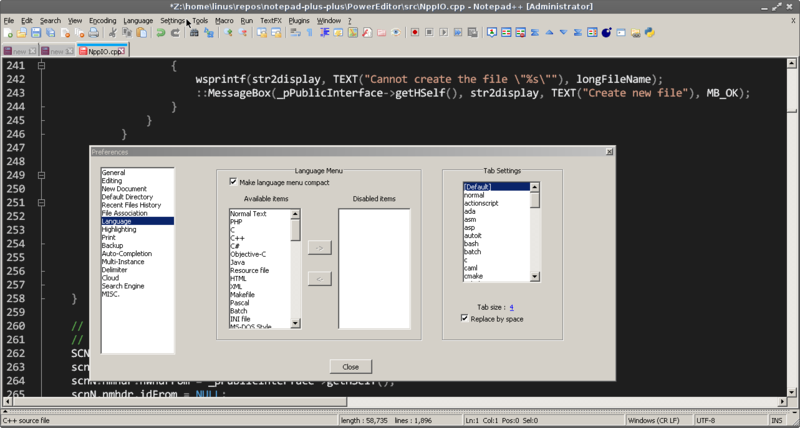 The “text to speech” software can take text from either a text file or clipboard. I’ve tried your suggestion in notepad++ (“encoding” and “convert to ansi”) and it worked. Don’t know much about the technical side but as long as it works, that’s great!